Book a cruise with Norwegian Cruise Line now! For reservations made between December 09, 2010 and January 31, 2011 you receive pocket money of up to US $ 500,- per stateroom on all our cruises in Europe during the 2011/12 season. This offer is valid on any of our Mediterranean cruises from/to Barcelona, Civitavecchia (Rome) or Venice and on cruises in the Baltic from/to Copenhagen. 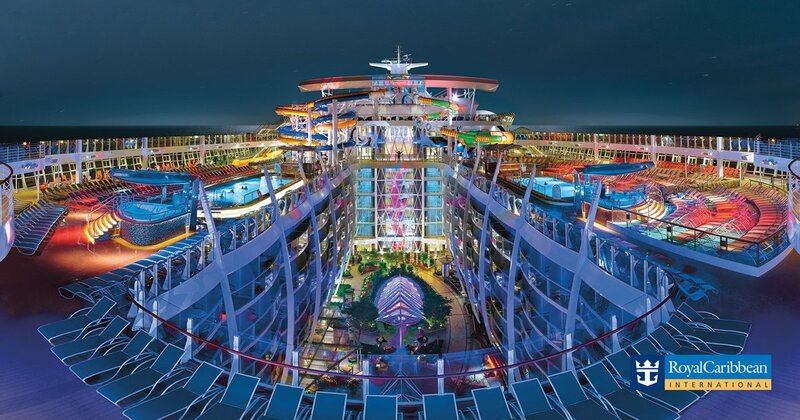 And that includes Norwegian Epic, the new highlight of our Freestyle Cruising fleet, which sails the Western Mediterranean during the summer of 2011. You can use your pocket money to fulfil your very own special dreams for a new Freestyle Cruising experience. Whether you choose a wellness treatment in our luxurious Mandara Spa®, a culinary highlight in one of our international speciality restaurants or want to discover new and exciting places with our varied shore excursion programme – it's up to you to spend your pocket money. Use this great opportunity! You also receive the pocket money on board Norwegian Epic on the cruise "Mini Cruise from Barcelona" as well as on board Norwegian Jade on the cruises "Highlights of the Mediterranean", "Italy & The Adriatic Sea", "Venice & Greece", "Venice & The Aegean Sea", "Rome & The Holy Land" and "Rome & Classic Mediterranean". In our Suites & Villas we offer luxury at the high seas. You can enjoy the pampering service, chic style, floor to ceiling windows offering amazing ocean views and much more. For booking a cruise in our Suites & Villas 9 months in advance, you receive exclusively an additional on-board credit of up to US $ 150,- per stateroom on all cruises of up to 4 nights and on all cruises with a length of five nights and more even up to US $ 300,- per stateroom. Combined with the NCL pocket money weeks you can receive up to US $ 800,-. Could you ask for anything more? *Prices are per person and based on double occupancy. Pocket money/on-board credit only applies to new bookings in euros made between December 09, 2010 and January 31, 2011 on all European cruises of the 2011/12 season. The on-board credit applies per stateroom (also in case of single occupancy) and is not combinable with NCL Specials. NCL Suites & Villas promotion applies to new bookings made until December 31, 2011 and is not valid for bookings of a Mini Suite. NCL pocket money weeks can be combined with the Suites & Villas promotion. The general terms and conditions of NCL apply. Subject to misprint. For bookings and further information please contact your local travel agency!